LOA (Metres/Feet): 14.81m / 48' 7"
Draft (Metres/Feet): 01.02m / 3' 4"
Beam (Metres/Feet): 04.04m / 13' 3"
SEALINE S48 – 2002 – Powered by twin Volvo TAMD74EDC diesels. 6 berth accommodation with two toilets and two showers. 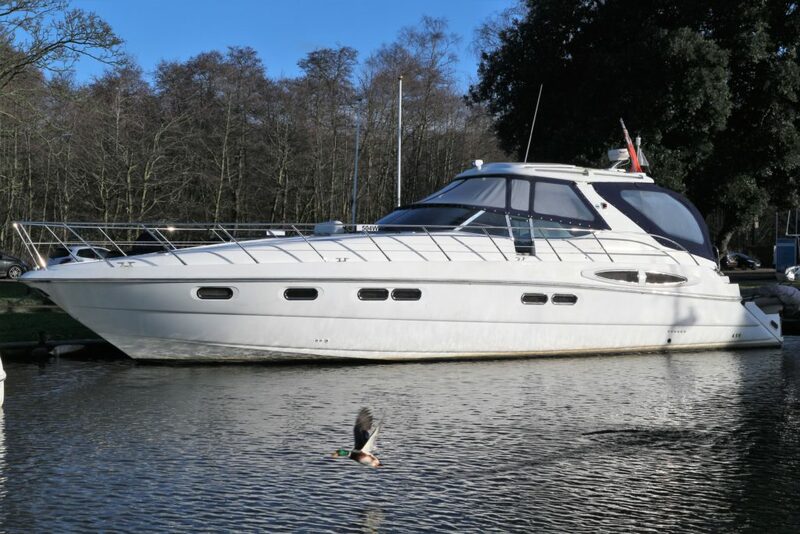 Specification to include; Bowthruster, generator, Marine Air system, holding tank, a full range on Raymarine navigation equipment including C120 plotter, hydraulic bathing platform, cockpit BBQ and wet bar and much more! The S48 offers fantastic outside living coupled with plentiful accommodation, A well specified, well presented example of these cavernous sports cruisers!